General Jorge Ubico, Guatemala's authoritarian president since Februrary 1931, lost interest after 1936 in reforms. Ubico remained close to the United States, informing the US minister at the time of the Munich crisis in 1938 that "Guatemala will follow the policy of the United States as long as it is not Communistic." In 1940, Franklin Roosevelt violated the two-term tradition of the US presidency, and Ubico and his supporters were encouraged, seeing the US as placing "the man above tradition" and as good reason for Ubico to stay in office. An example from abroad that Ubico did not like was that of an army sergeant Fulgencio Batista seizing control of the government of Cuba. In December 1940, Ubico accompanied the movement of troops to arrest non-commissioned officers accused of planning to seize power – a conspiracy that has been described as "half-baked." Jacobo Árbenz, a leftist former army colonel who sought land reform. He was overthrown by coup created by the Eisenhower administration and engineered by the CIA. Carlos Castillo Armas. The CIA found him in Honduras, told him they were working on a project with United Fruit against President Arbenz and offered him a role as leader. He accepted without hesitation. Here he is wearing the presidential sash. By the 1940s, economic development had brought an increase in clerical white collar and lower management jobs, more lawyers and small businesses serving the growth of the middle class. Ubico was of the landed gentry. When he became president in 1931, the landed gentry was supreme in power, and now the middle class was to challenge that power. The Ubico regime remained proud of its accomplishments in the early 1930s, and it was convinced that it was still indispensable in governing the nation. But into the 1940's a new generation of students was less mindful of the Great Depression and the early 1930's, and it looked upon Ubico's regime as old and responsible for shortcomings. Unrest in neighboring El Salvador in 1944 stirred Guatemalan students. General Maximiliano Hernandez Martinez had made changes to El Salvador's Constitution in 1939, allowing him a six-year rather than four-year term in office. In 1944, the Constitution was revised again so that Martinez could remain in office, and members of the military revolted, unsuccessfully. The military loyal to Martinez suppressed the revolt in a bloodbath, and to some in Guatemala the rule of generals looked worse than before, their own General Ubico's rule included. In May in El Salvador, Martinez resigned in response to a general strike, and a new government gave a base from which Guatemalans could operate against Ubico's rule. In June, medical and law students in Guatemala made an issue of their school's administration. They petitioned for the removal of deans. The Ubico government tried appeasing the students by yielding to the student's demands. The students increased their demands. Teachers demanded better wages and were supported by students and others who went into the streets to demonstrate against the government. On June 29, a demonstration in the capital, endorsed by some labor groups and professionals, paralyzed the city. The demonstrators called for a lifting of restrictions on liberties and a restoration of constitutional rights. The Ubico regime declared martial law and sent troops to strategic points in the city. It crushed the demonstrations. One of the dead was the leader of the teachers' union movement, Maria Chinchilla, and she became a martyr for the anti-Ubico movement. In October 1944, junior military officers, unhappy with their low pay, joined with students and liberal professionals and overthrew Ubico. The new military junta purged the government bureaucracy and senior army hierarchy. Ubico, his aides and others went into exile – Ubico fleeing to New Orleans. Elections were held in November, and Juan Jose Arevalo, a philosophy professor who returned form exile in Argentina, won the presidency. What was to be called Guatemala's "democratic spring" had begun. In March, 1945, a liberal constitution was adopted. It restricted the power of Guatemala's landed elite. It extended the vote among men and gave the vote to women. Unions and political parties were allowed to organize, and freedom of speech was guaranteed. Arevalo was a democratic-socialist, favoring what he called "spiritual socialism." He began reforms in health care and education, established a social security system. He encouraged the masses to participate in politics and to join labor unions. Arevalo helped Guatemala become one of the founding members of the United Nations, and he promoted new industry and new agricultural techniques. During the five years that the Constitution allotted Arevalo to serve as president, there were over twenty attempts by conservative forces to overthrow him. 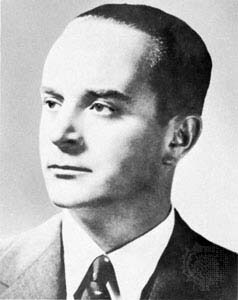 Instead, in 1950, the planned elections took place, and Colonel Jacobo Arbenz, a popular officer who helped defend democracy in 1945, won 65 percent of the vote. Arbenz took office in March, 1951. He extended political freedom, allowing communists to participate in politics. The Ubico regime had flattered the communists by describing them as that regime's principle opponents, perhaps influencing some Ubico opponents to identify themselves as communists. By the time that Arbenz took office, Communists were active in peasant organizations and labor unions. The Eisenhower administration disliked Arbenz. Eisenhower's	Secretary of State, John Foster Dulles, for the record, had been one of United Fruit's principle lawyers, and his brother, Allen, Director of the CIA, had worked for United Fruit and owned substantial stock holdings in the company. John Foster, at any rate, was religiously fervid and a passionate anti-communist. Arbenz was not thought of as a communist himself, but he was considered to be too close to communists. His wife was believed to be a communist. The CIA's success in overthrowing Mosaddegh in Iran encouraged John Foster Dulles and was a model for overthrowing Arbenz. A secret plan was launched. Guatemalan exiles were trained in Nicaragua – ruled by the dictator Anastasio Somoza. Arbenz feared an invasion and wanted weapons for his army. The US disrupted deals being made to buy arms and ammunition from Canada and Germany. The Arbenz regime offered to buy weaponry that originated in Communist-ruled Czechoslovakia and were delivered in a Swedish ship that arrived at Guatemala's Puerto Barrios, in May 1954. Secretary of State Dulles described this as proof of communist infiltration, and the US public was told that a communist revolution was being hatched. We set up the first Guatemalan operation/shop at Opa-Locka [an airport in Miami, formerly an Army base]. There were three barracks, and we used the airstrip to fly in people from Guatemala and to send our people into Guatemala. These were known as "the black flights." They always occurred at night; they are a secret and officially do not exist as having happened. After E. Howard Hunt visited the Catholic prelate Francis Cardinal Spellman In New York, a message was delivered in Guatemala's churches and on the country's airwaves that there was an emergency: that communists, the enemies of God, were trying to destroy their country. On June 3, 1954, the publisher of The New York Times, Arthur Hays Sulzberger, telephoned Allen Dulles and told him that his paper "would comply with [the CIA's] suggestion" to keep his foreign correspondent out of Guatemala for a while. On June 18, an exile army of around 400 men, supported by the US and led by an anti-leftist colonel, Castillo Armas, invaded Guatemala across the Honduras-Guatemala border. Aircraft dropped a few bombs here and there. Arbenz believed that resistance would be futile, and on June 27 in a radio address he announced his resignation. He turned his office over to a friend, Colonel Carlos Diaz, and he asked for asylum in the Mexican embassy, disappointing those who believed in standing against the invasion. The CIA splashed money around among military men in Guatemala, and the Guatemalan army allowed Armas and his small force free passage to the capital. Hunt has described those under Castillo Armas taking Arbenz as he was attempting to leave the country at Guatemala's airport. "Their hatred for him [Arbenz]," said Hunt, " was palpable." Hunt described himself as intervening and keeping Arbenz from being executed, concerned that the CIA and the United States would be blamed for the murder. Arbenz and his wife were allowed to go into exile to Mexico. The forces of Castillo Armas quickly took power from Diaz. On July 8, Armas became the head of a new government recognized by the Eisenhower administration. The Armas regime created the National Committee of Defense Against Communism and decreed the Preventive Penal Law Against Communism. In 1958, Armas was assassinated. General Ydigoras Fuente – the more conservative opponent of Arbenz in the 1950 presidential election – took power. Junior military officers revolted and became the nucleus of a prolonged armed insurrection, and warfare was to continue for decades.